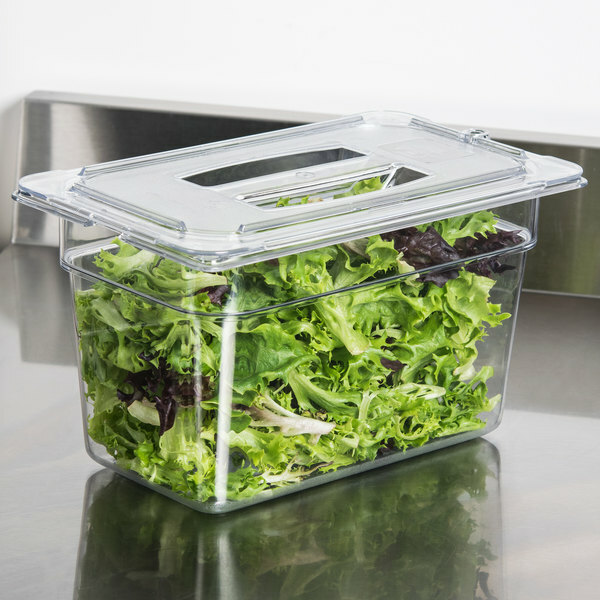 Keep food fresh longer with the Carlisle 10290U07 Universal StorPlus 1/4 size handled lid. A defined rim around the lid ensures safe, stable stacking of multiple food pans (sold separately), while a forgiving textured surface reduces scratches. 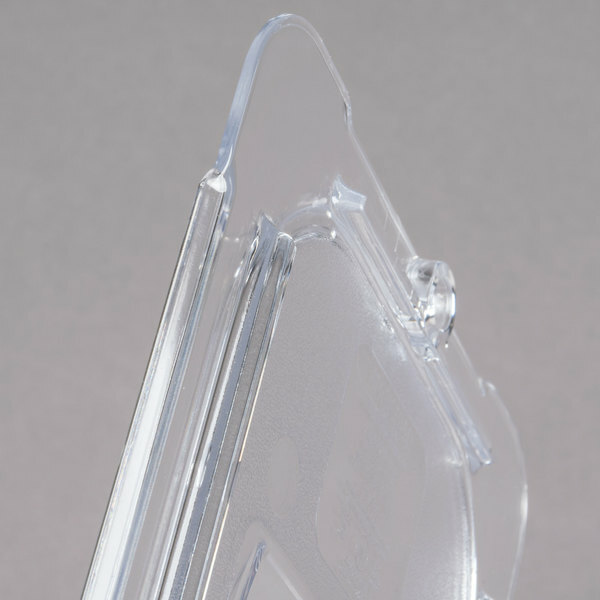 Reinforced top and bottom corners help prevent chipping and cracking during peak business. 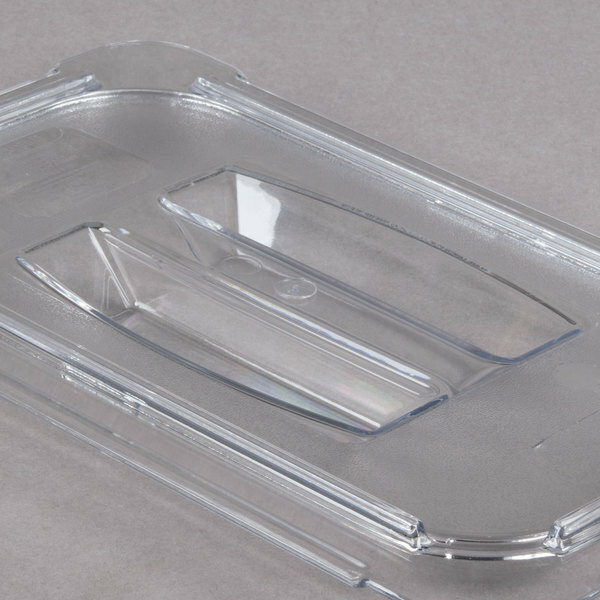 For optimum versatility, Carlisle Universal lids fit both gastronorm and universal pans in addition to other major brands (each sold separately). 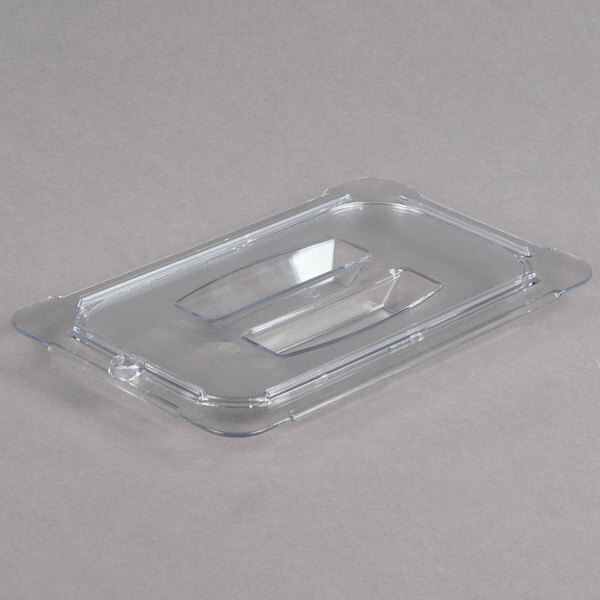 The Carlisle 10290U07 1/4 size lid is made of durable polycarbonate that can withstand temperatures from -40 to 212 degrees Fahrenheit, making it great for hot or cold food wells. This product can expose you to chemicals including Bisphenol A (BPA), which are known to the State of California to cause cancer, birth defects, or other reproductive harm. For more information, go to www.p65warnings.ca.gov. 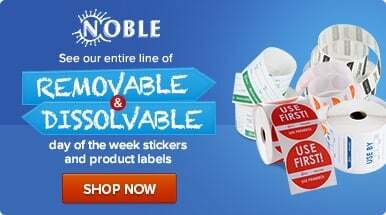 WARNING: This product can expose you to chemicals including Bisphenol A (BPA), which are known to the State of California to cause cancer, birth defects, or other reproductive harm. For more information, go to www.p65warnings.ca.gov. This item can safely be stacked with identical or indicated items to promote easy transportation and space-saving storage. 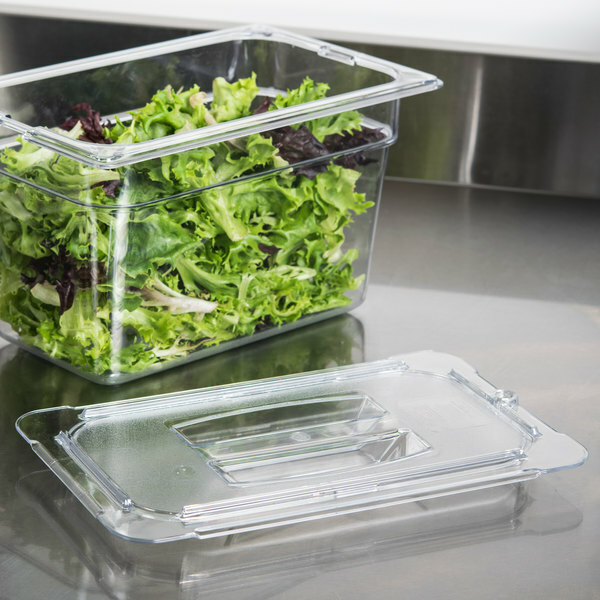 Lids for our deli containers and prep are essential to have them last the longest and also for food safety and sanitation purposes. These lids fit the sizes they state, are see through, and are made of sturdy plastic that can take a beating. The carlise brand lids are a great buy. Inexpensive and durable. They fit snugly and don'y crack or break when dropped. Easy to clean and they fit other bins as well. 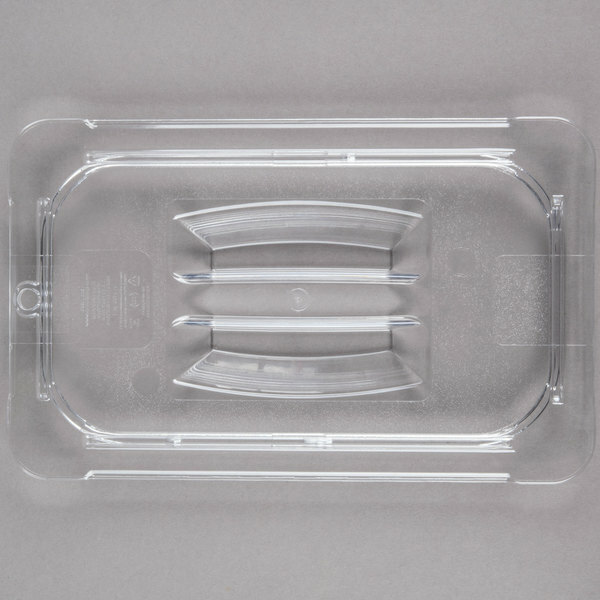 This is a well built Lid that fits Carlisle and other branded quarter size food pans. The handles make it easy to remove and to always have the correct side on top.